This branch of alternative medicine was conceptualized by the ‘father of medicine’ Hippocrates. It merges advanced knowledge of science with natural medicine in order to treat medical conditions efficiently. Naturopathy is mainly based on “the healing power of nature” and has been gaining extreme popularity these days. In this system of therapy, diseases are not considered as ‘critical’ and an all-natural-approach is followed to offer better healthcare services to the patients. As the basic goal of the naturopathic medicine is to help people age well, the processes of treatment depend on a number of factors including the food habit, lifestyle and living environment of the patient as well as his or her physical, mental, structural, social and spiritual conditions. It comprises methods like naturopathic manipulation, lifestyle counseling, clinical nutrition, botanical medicine, hydrotherapy, manipulative therapy, and many more. 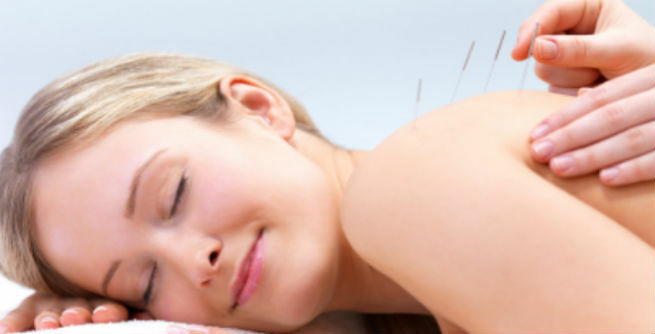 Acupuncture is one of the most popular forms of olden Chinese medicine. It can treat a number of medical conditions successfully, which include arthritis, back pain, knee pain, shoulder pain, sciatica, carpal tunnel syndrome, etc. In this process, special types of needles (solid filiform ones exclusively made for acupuncture) are used for providing proper therapeutic services to us. They are either used superficially or inserted in the skin and are intended to work at certain points of our body. These unique points are known to be the paths through which our ‘qi’ or bodily energy is flown during the therapy. Most of them are situated along the ‘meridians’ of our body. Homeopathy is another well-known branch of alternative medicine, which was developed in the year 1796 by the German physician Samuel Hanemann. However, the concept of homeopathy was much older. The basic principle of homeopathic treatment is ‘like cures like’. According to the ’law of similars’ followed in this healthcare system, the reason of illness can eventually turn out to be its most effective cure. This treatment is solely depended upon the symptoms of the illness as well as the mental well-being of the patient. It intends to ward off the symptoms of various diseases completely from our body. Chiropractic is an exclusive applied or hands-on therapy which does not involve the use of drugs. It is one of the oldest forms of alternative medicine that was conceptualized anytime between 2700 B.C. and 1500 B.C. Two most basic principles of chiropractic medicine are ‘spinal manipulation’ and ‘lower extremity manipulation’. This therapy is widely followed for curing disorders related to nervous system as well as musculoskeletal system. These include joint pain, headache, backache, neck pain, brain injuries, etc. Cranial adjusting is another common chiropractic method of treatment in which the bones of the skull are rearranged to treat various head conditions (autism, ADD – attention deficit disorder, concussions, etc. ), behavioral difficulties, learning problems, and so on.